This presentation is an exclusive offering of a naturally articulated and exceptionally well-preserved dinosaur skeleton, prepared and ready for exhibition. 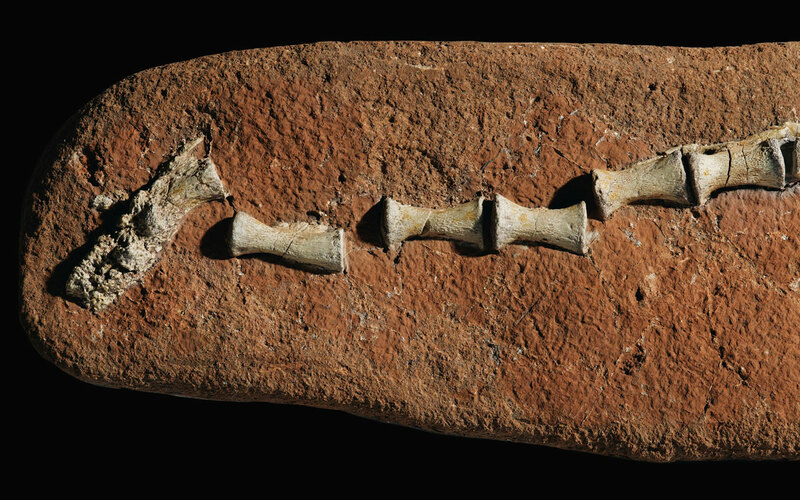 This spectacular specimen belongs to the well-known species Tenontosaurus tilletti, and is unmatched in completeness and quality—making it the finest known example of this species to date. No comparable specimens of this dinosaur exist in any private or museum-owned collection. All others pale in comparison, being incomplete and heavily restored. 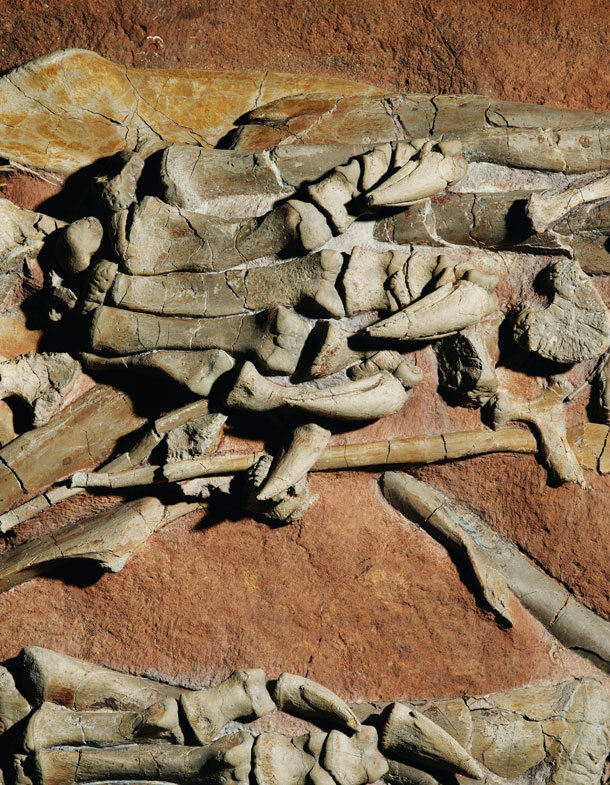 The Tenontosaurus’ skeleton’s individual bones are beautifully preserved, which greatly enhances its aesthetic appeal and exhibit quality (see close-up photos). 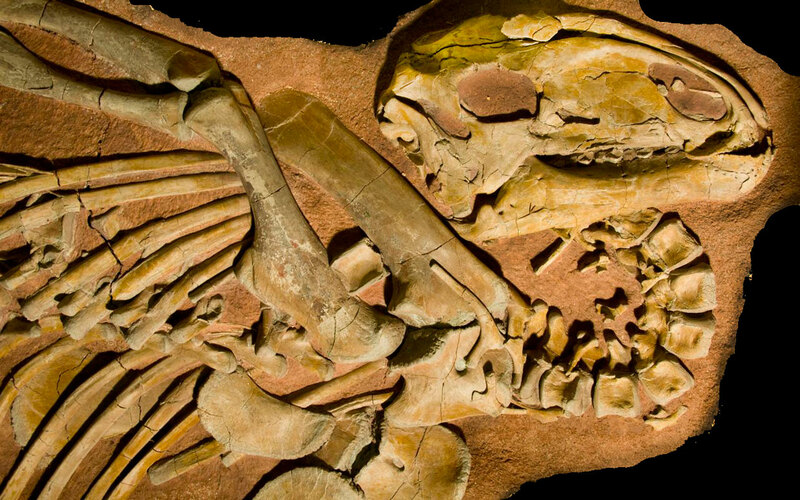 This skeleton has been preserved as it was found, frozen in what can be described as a sleeping position. Interestingly, the huddled pose of the skeleton (with inward-flexed limbs and a curled neck) is actually not a typical death pose—rather, it suggests a rapid burial, perhaps while still alive. Taphonomic speculation surrounding the death of this individual—together with its outstanding, show-quality condition—make for a rare and exciting exhibit, sure to become a highly valuable attraction for new and repeat visitors alike. 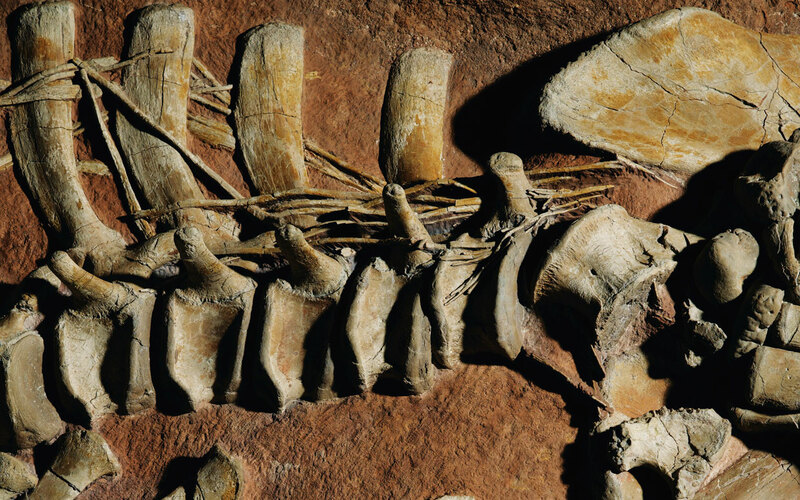 The 105-year-old Tenontosaurus fossil measures roughly 17-feet-long (5.18m) and represents a virtually complete skeleton (approximately 98% intact). Additionally important, the bones of this skeleton are all sourced from a single, adult individual (as opposed to having been reassembled from several individuals of the same species). Therein lies a huge benefit: no restoration or reconstruction was needed. It’s no overstatement to say that the state of preservation of this skeleton is absolutely outstanding. Finally, to further enhance and maintain the skeleton’s authenticity and integrity, it has been cleaned—but in a manner specifically meant to only expose one side. Therefore, the remaining bones are intentionally being kept in situ in their original matrix—enabling future study. This dinosaur was discovered in 2008 in Private Ranch, Big Horn County, Montana. 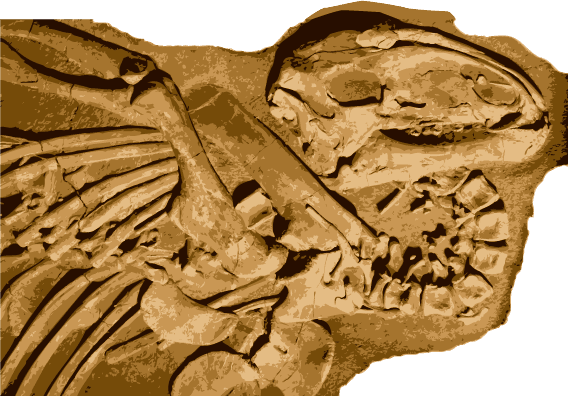 The skeleton was unearthed from the Cloverly Formation. Based on radiometric dating, the Cloverly Formation was formed approximately 105 million years ago, therefore assignable to the Early Cretaceous Period (i.e., Aptian to Albian geologic ages). The mounted skeleton was excavated and preserved in a manner reflecting current paleontological standards, including documentation in photographs, maps and field notes, which are available for inspection upon request. 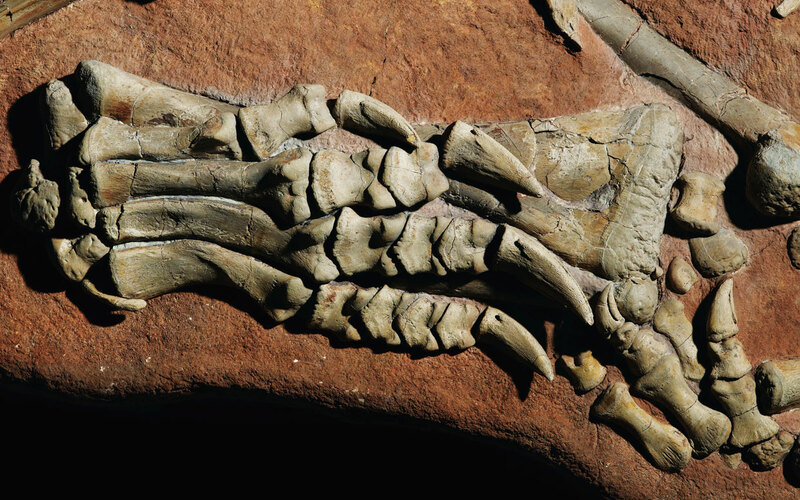 In addition to this data, letters and legal documents attesting to land ownership and rights to fossils as property are provided as the complete offering. The fossil is available exclusively by Maxilla & Mandible, Ltd. For further info, please contact Henry Galiano (henry@maxillaandmandible.com). To ensure the specimen is and will be made available for scientific research, this offer is limited to public museums or institutions only. Please contact us to inquire about pricing information and eligibility for acquisition.